Tallahassee Mayor Andrew Gillum addresses press amid recount for Florida's governor. Recounts are underway for three statewide Florida races, including Senate, governor and agriculture commissioner. Democratic gubernatorial candidate Andrew Gillum addressed media Saturday after conceding on election night. Democratic gubernatorial candidate Andrew Gillum trails Republican opponent Ron DeSantis by more than thirty thousand votes. But Gillum said it's not over until every vote is counted. "Let me say clearly, I am replaicng my words of concession with an uncompromising and unapologetic call that we count every single vote." Amid criticism and lawsuits over how two South Florida Supervisors of Elections have counted ballots, Gillum warns the recount could dampen voters’ faith in the electoral process. 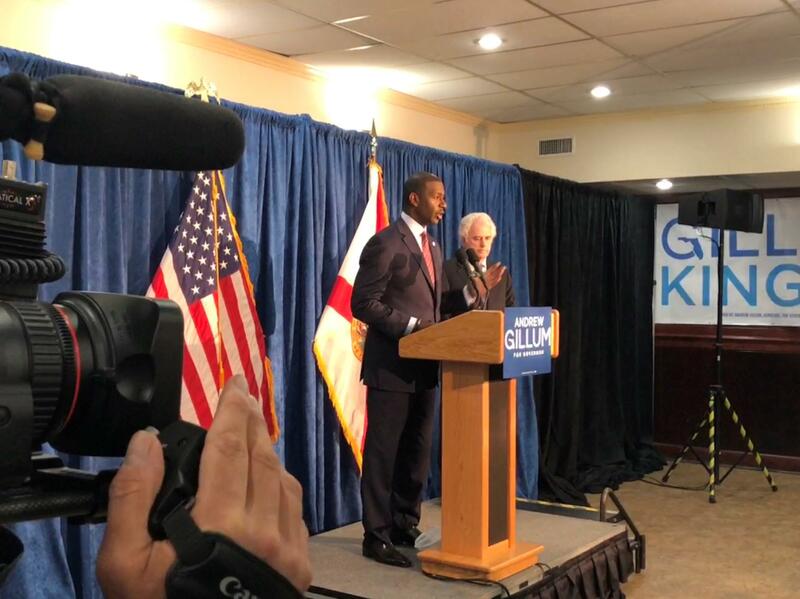 Gillum bemoans attacks from President Donald Trump, Governor Rick Scott and Senator Marco Rubio as undemocratic. The final tally from the recounts is due Thursday afternoon.